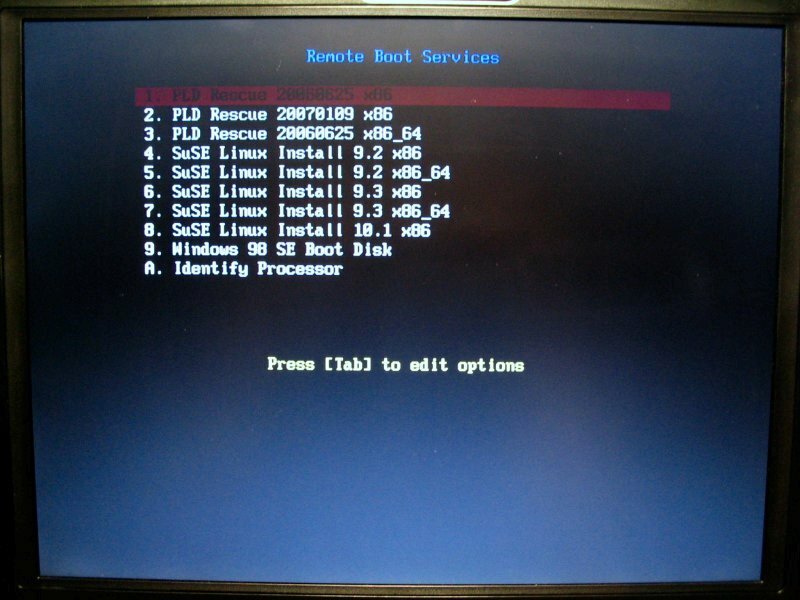 PXE is a well known and widely used in some enviroments. I’m quite often playing with some servers, testing, installing various things, reflashing firmwares etc. 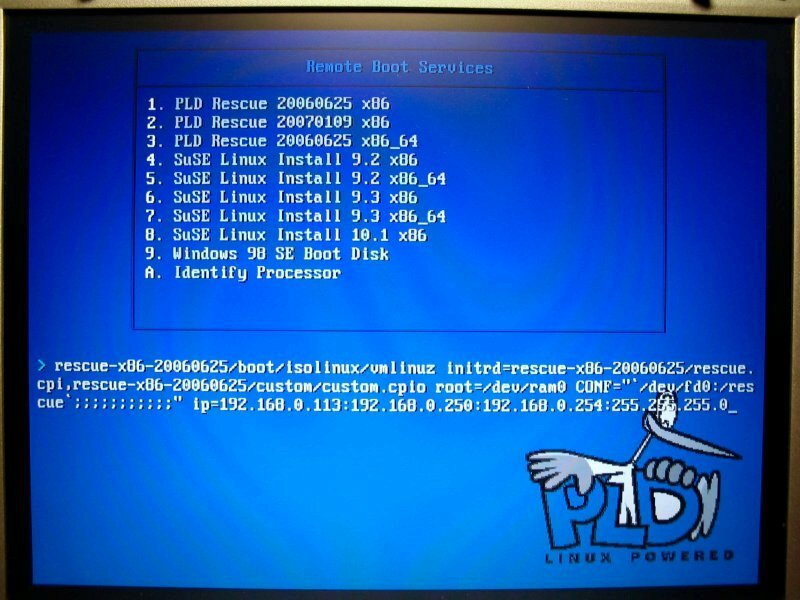 Usually that was done with PLD RescueCD on a CDRW medium, (Free)DOS images/isos etc. Unfortunately burning different stuff over and over is annoying. How to do something nice and usable? What you need is a dhcp server, tftp server and PXE ready client machines (most of newer hardware has ability to boot from network over PXE). Note that atftpd can not serve images bigger than 64MB (due to lack of block number rollover support). tftpd-hpa supports this fortunately. 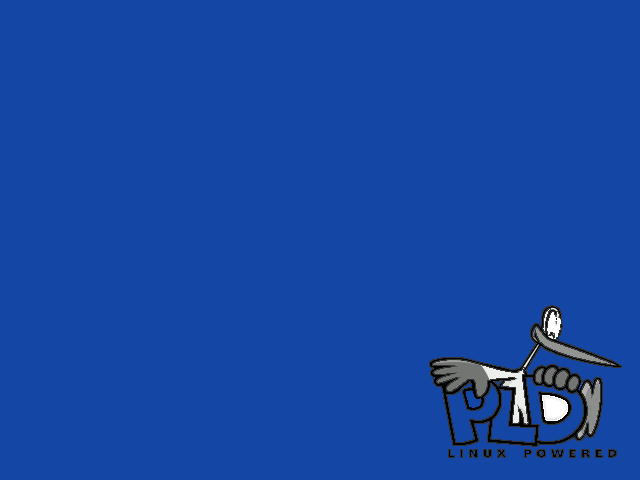 You will also need syslinux package that comes with pxelinux. pxelinux will load multiple images for us depending on user choice. Use latest available version (3.31 at this moment) because older version miss important piece of functionality (menus). This means that we can have different configurations for different machines (based on MAC address of machine ehternet card). I’m using default configuration file which is always tried. drwxr-xr-x 9 root root 4096 Jan 13 15:26 .
drwxr-xr-x 35 root root 4096 Jan 12 17:35 ..
drwxr-xr-x 2 root root 20 Jan 13 16:51 .
drwxr-xr-x 9 root root 4096 Jan 13 15:26 ..
drwxr-xr-x 4 root root 47 Jan 12 09:47 .
drwxr-xr-x 3 root root 104 Jun 25 2006 .
drwxr-xr-x 4 root root 47 Jan 12 09:47 ..
drwxr-xr-x 2 root root 138 Jun 25 2006 .
drwxr-xr-x 3 root root 104 Jun 25 2006 ..
drwxr-xr-x 2 root root 24 Jan 12 09:53 .
drwxr-xr-x 4 root root 47 Jan 12 11:39 .
drwxr-xr-x 3 root root 104 Jan 9 01:10 .
drwxr-xr-x 4 root root 47 Jan 12 11:39 ..
drwxr-xr-x 2 root root 138 Jan 9 01:10 .
drwxr-xr-x 3 root root 104 Jan 9 01:10 ..
drwxr-xr-x 2 root root 24 Jan 9 01:10 .
drwxr-xr-x 2 root root 24 Jun 25 2006 .
drwxr-xr-x 2 root root 31 Jan 12 10:37 .
drwxr-xr-x 2 root root 60 Jan 12 10:06 .
drwxr-xr-x 2 root root 60 Jan 12 10:05 .
rescue-* directories contain unmodified copy of PLD RescueCD ISO images content. 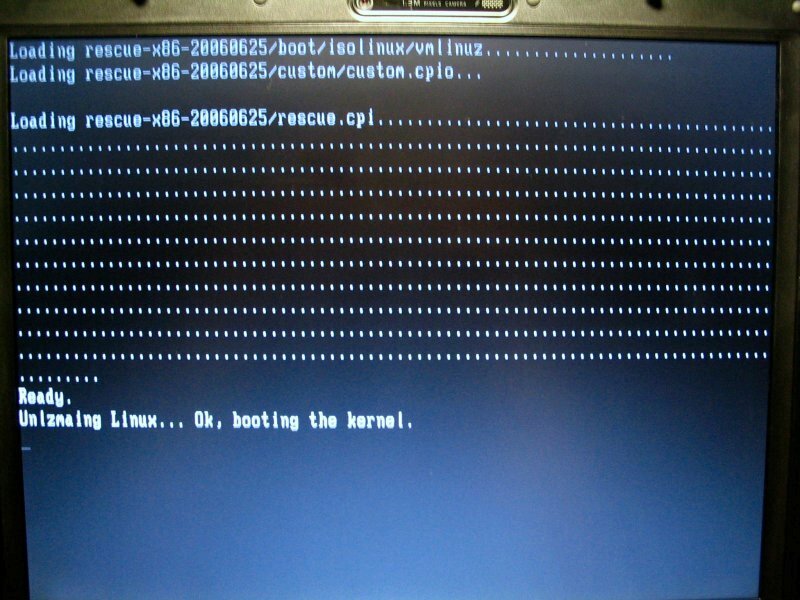 suse-* contain kernel images and initrd file copied from SuSE installation cdrom/dvd. winb98se.img is a image of Windows 98 SE boot floppy disk. The configuration file is shown below. vesamenu.c32 allows do display menus in graphical mode with background jpg/png images. For pure text mode there is menu.c32. MENU LABEL allows to add text message shown in menu for single label part of configuration. “^” is used to mark keyboard shortcut letter. 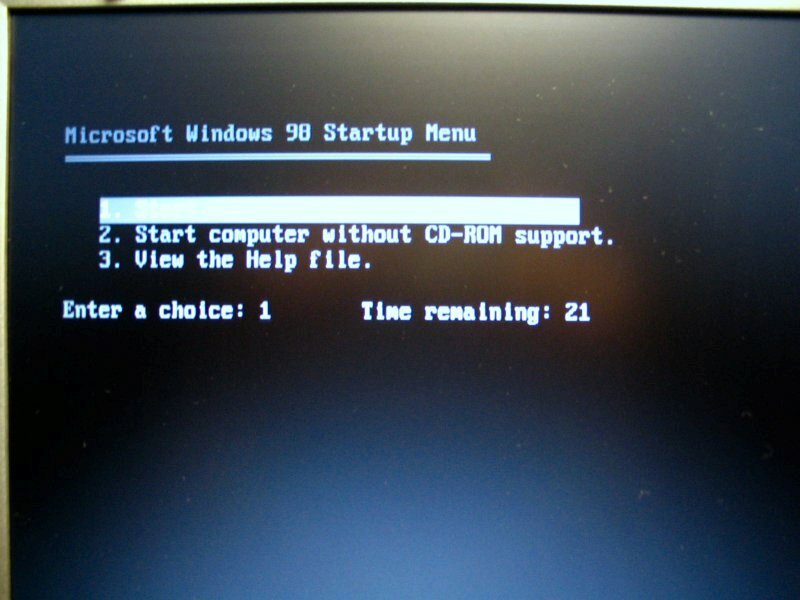 Windows floppy image uses special loader called memdisk which allows to boot legacy operating systems. I don’t use submenus in my setup though. Text boot using menu.c32 (or when vesamenu.c32 gets wrong options, files like background image in wrong size (needs to be 640×480)). 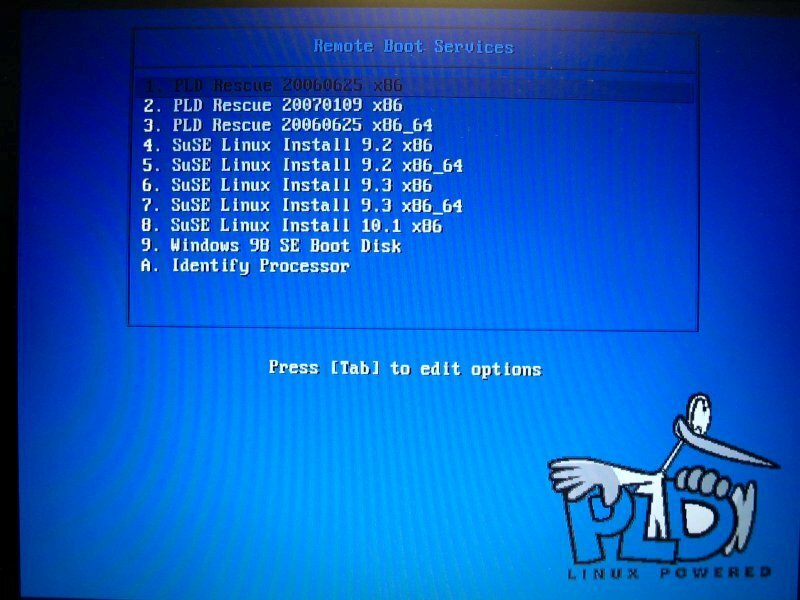 Graphical boot with PLD-style background image. You can change boot options just like in grub. Windows 98 SE image already started. Example of CPU Identification that comes with syslinux package. I just wanted to say thank you. This page was very helpful in setting up a vesamenu.c32 system for our lab. Thanks!